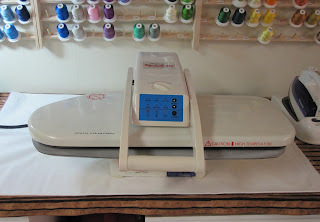 I am so excited about my new (used) Digital Simplicity quik press! I got it on eBay for $25. Shipping was $35, but still, $60 total for something that cost $300 brand new. I just could not pass it up. It is in very good condition. This was sold sold by a sewing/vacuum store that got it as a trade in when someone was buying a new sewing machine. My friend Terri has been letting me use her iron whenever I needed. 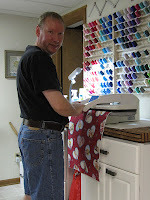 It has been a great time saver when I'm trying to fuse Pellon fleece to fabric. 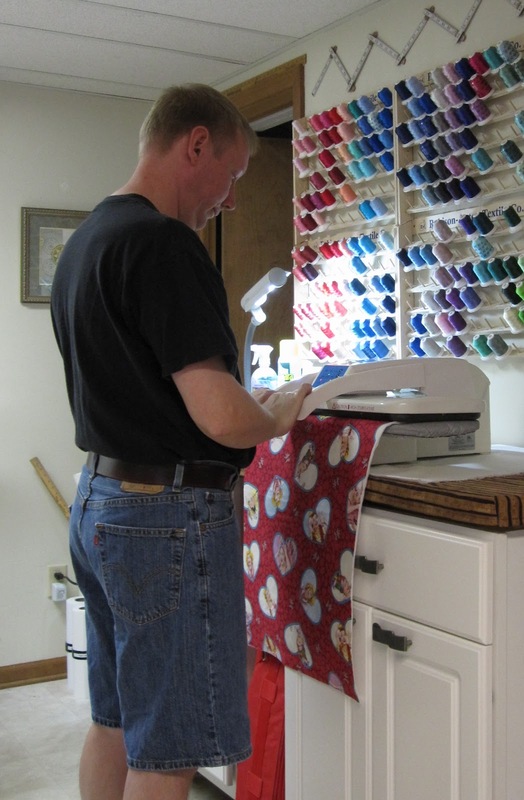 What took 15-20 minutes with my regular iron takes five minutes with the press! Yeah, definitely worth $25.00. The only drawback is, I will miss visiting with Terri when I went to her house to work. Wait a minute..hold the phone.. this iron could travel across town very easily! Terri you let me know whenever you want some company...have iron will travel! Very nice! I know you will be keeping busy! Happy you finally got it and that it is in good shape! Any time, Bobbi! So glad it is in great shape. Have fun!